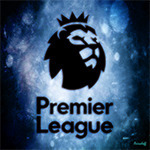 A tale of two Citys ended all square as Norwich City squandered enough good chances to win several football matches on an afternoon when Xherdan Shaqiri made his eagerly anticipated Premier League debut. The unlikely sight of the Swiss international in a Stoke shirt was one of several highlights on a sunny afternoon at Carrow Road that left many players exhausted and on their knees at the final whistle, with both sets of supporters warmly appreciative of their efforts. An eyebrow-raising £12m acquisition from Internazionale, Shaqiri began and ended the game on the right flank, worked hard in attack and defence, and took just over 10 minutes to make his mark. A dim-witted handball from Robbie Brady, who was attempting to control a crossfield pass, gifted Stoke a free-kick on the right flank, from where Shaqiri pinged the ball towards the far post. Having given his marker Alex Tettey the slip, Mame Biram Diouf enjoyed the freedom of Carrow Road as he steered his header into the bottom left-hand corner. On a sweltering afternoon, referee Mike Dean called an impromptu drinks reception near the technical areas after 26 minutes and, duly rehydrated, Norwich’s players restored parity almost as soon as play resumed. Their elixir-fuelled equaliser came from Russell Martin, who hooked a Nathan Redmond pass beyond Jack Butland after Stoke had repeatedly failed to clear the ball. Their defenders couldn’t argue that they weren’t warned: Martin and Redmond had combined seconds previously only for John Ruddy to save splendidly from the central defender’s right-footed drive. Soon after, Diouf had another effort ruled out for offside, after sprinting on to a deft Marco van Ginkel throughball to poke the ball past Ruddy from close range. Whatever it is Norwich chairwoman Delia Smith is putting in the drinks of her players, it certainly appears to be working. The home side came roaring out of the traps after the interval and could feasibly have scored three goals within five minutes of the restart. Put through on goal by Brady with only Butland to beat, Cameron Jerome sidefooted his diagonal effort horribly wide and promptly sunk his head into his hands. It was a pose aped by Wes Hoolahan soon after, the diminutive playmaker heading wide of the upright from close range when scoring looked easier. Next up to the plate was Graham Dorrans, whose right-foot drive from distance towards the bottom corner at least forced Butland to make one of many good second-half saves. The goalkeeper was called into action again on the hour mark, stretching every sinew to tip a goal-bound Redmond daisycutter around his post for a corner as Norwich ratcheted up the pressure. With Stephen Ireland and Joselu on for Ibrahim Afellay and Marko Arnautovic as second-half substitutes, the Irish midfielder immediately set about trying to recreate his string-pulling heroics of last weekend with some deft touches outside the penalty area. One neat flick set up Diouf for a particularly ambitious bicycle kick. The outcome? A free-kick for high feet on Ruddy. Norwich ended the second half as they had begun it, with Howson and Jerome forcing two marvellous saves from Butland. The former’s low drive from distance was tipped out for a corner, from which the goalkeeper reacted well to keep out the latter’s effort from point-blank range. Stoke were just about worth their point, but having had their goal under siege for long periods of a second half will feel they got out of jail. With a little more finesse up front, Norwich would have beaten a decent side at a canter. For that, if not all three points, their fans can be grateful.